Making the choice to place your son or daughter in daycare can be difficult and scary, especially if you’re not sure which type of daycare structure and environment that suits your kiddo best. While it can be somewhat overwhelming, choosing a daycare that’s ideal for your child can be a fun and rewarding experience. In this post, we’ll discuss some important tips that you can utilize when you’re searching for a daycare that perfectly fits your son or daughter’s needs. 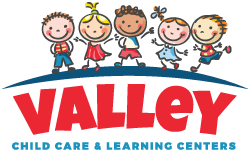 If you’re in Arizona and in need of an early learning center that offers 10 convenient locations, look no further than Valley Learning Centers! We’re proud to offer more than 50 years of experience in caring for children and would love to speak with you about our curriculum and summer programs. Call us today! 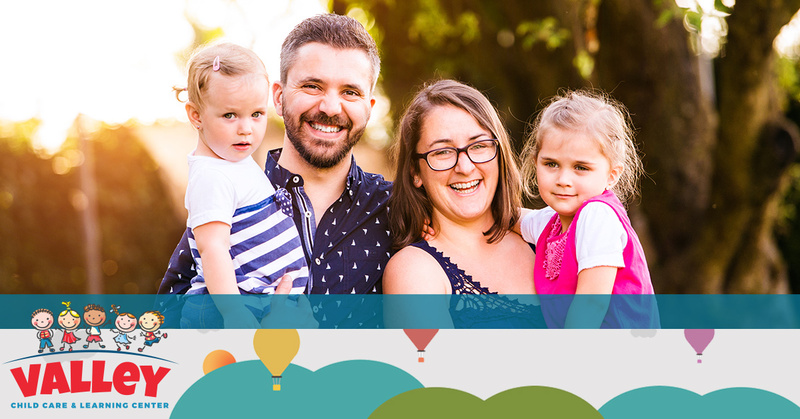 If you think that your child would benefit from being in a more academic setting, research daycares in your area that offer reading and writing classes for toddlers or preschoolers. Furthermore, if you believe that you son or daughter would enjoy being in a smaller classroom that isn’t overwhelming, it might be best to find a daycare that offers an increased teacher-to-student ratio. The last thing that you want to do is put your child in an environment that won’t beneficial or conducive to his or her personality and needs. Schedule tours at the daycares that you’re interested in, but don’t show up unprepared. Create a checklist of activities, classroom amenities, or teacher-to-children ratios that you’re interested in so that you can look for them while visiting the daycare. Supervise closely how the teachers interact with the children and observe how the room is handled, organized, and scheduled. If you’re planning to enroll a baby in daycare, you should know that The American Academy of Pediatrics recommends a ratio of one caregiver for every three babies under the age of 24 months. If you find that a daycare doesn’t have the proper supervision or what you’re looking for, tour other facilities until you’re sure of your choice. Before signing on the bottom line, carefully read over the policies that the daycare has to be sure that you agree with them. These can include rules and policies on food and drinks, sleeping, the use of media in the classroom, discipline, and playtime. If you have questions about anything listed in the contract or your child needs specialized care, sleeping times, or food preparation, make sure you communicate them with the director or administrator so you can work together to create the best environment for your child. If there’s an issue or a problem with the enrollment process, or you feel like you need to talk about something that’s bothering you, don’t hesitate to speak up about it. Holding back will never help you, and if there’s something that needs to be addressed, it’s best to always talk about it before it becomes a huge issue or problem. You can also wait to discuss your concerns during parent-teacher conferences or schedule a time to talk to the director. One of the best ways to give back to your child’s daycare is to be an involved parent. This can be everything from bringing coffee to the teachers and administrators as a random act of kindness or showing up to parent night and meeting the other parents. If the daycare needs help or repairs, try to schedule time to stop by and help out. One of the best ways to show that you can and are respectful of the teacher’s time and schedule is to drop your child off and pick him or her up on time every day. If the hours of the daycare are from 7AM to 5PM, don’t show up at 6:45AM or “forget” to pick your kiddo up until 5:20PM. It’s important to recognize that the teachers have schedules and lives outside of work. Choosing the right daycare for your child can be difficult, but finding the perfect one will benefit both you and your kiddo. If you’re interested in hearing more about our curriculum and summer programs at Valley Learning Centers, contact us today!